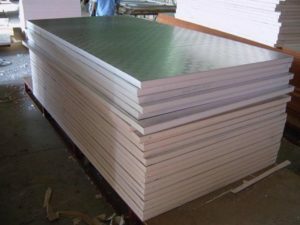 What is the cause of the defect on the surface of the aluminum plate? The quality of the 1. aluminum ingot slag casting is not good, and there are metal or non metal residues in the aluminum plate. 2. over thin pressure is not correct; the thickness gauge has malfunction or improper use; the roll shape control is incorrect. 3. hot rolling ingot cracking pressure is too large, from the end of the ingot ingot cracking; the heating temperature is too high or too low. 4. fold (folding) roll type is not correct, such as calender roll bearing heating, so that both ends of the plate on the swell, the middle thick thin on both sides; the pressure of light before the wave plate is too large, so that the light pressure is too large, resulting in a pressure reduction; pressure plate is not easy to produce the light into the fold; the plate thickness difference on both sides, easy to fold. 5. surface bubble ingot with high hydrogen content porosity; the ingot surface uneven dirty place East, before charging not clean; wash, and the surface of aluminum ingot package wash residue; heating time is too long or too high temperature, oxidation of ingot surface; the first welding rolling, no Ju emulsion shut, emulsion flow to the aluminum package below. 6. of unqualified mechanical properties do not perform properly the heat treatment system and heat treatment equipment is not normal, the air circulation is not good; quenching material fashion volume, salt bath furnace temperature is not enough fashion, the holding time is insufficient, did not reach the required temperature is released; test chamber adopts heat treatment system or test method is not correct; sample size shape right, the sample surface is damaged.